The Jetflow Hydration System replaces your old hydration bladder (reservoir) with simple and inexpensive options. The manifold is intended to be used with a standard water bottle thread common to Smartwater, Aquafina, Fiji, Pepsi, and Coke style bottles. Generally bottles over .5 liter in volume. The system also includes a 63 mm adapter that will accept Nalgene, Camelback, Lifeline, and a lot of common hard side bottles used in outdoor recreation. Enjoy a lifetime warranty on all parts except the bite valve. Get a Tomahawk Hydration Pack with purchase of a Jetflow Hydration replacement system. Or upgrade to a Dirt Merchant Pack for just $10 more! The hydration bladder pack and reservoir is an innovative high-performance gadget fervently made for the unstoppable adventurist and outdoor enthusiast. JET FLOW Hydration System replaces your old hydration bladder (reservoir) and its ergonomic design makes it highly convenient to be carried anywhere. In the current scenario, JETFLOW is a simple and inexpensive option available in the market. Since the manifold is expertly designed to be used with standard water bottle thread, the Hydration pack is compactable with Smartwater, Aquafina, Fiji, Pepsi, and Coke Style bottles (precisely bottle of .5 liter). Other than all this, the equipment comes with a 63 mm adapter, which makes it acceptable with Nalgene, Camelback, Lifeline, and many of the common hard side bottles used in outdoor recreation activities. · It is a perfect alternative to hydration reservoirs (bladders) which taste horrible, collect bacteria, and very expensive to replace. · JETFLOW HYDRATION PACKS/ HYDRATION BLADDERS are an amalgamation of style and purpose which makes it functional and convenience. · JETFLOW Hydration Reservoir is made in USA and manufactured with high density medical grade plastic. · JETFLOW Hydration pack is a combination of sturdy-built quality and lightweight properties. · It is a perfect gear for mountain biking and hiking and has long-term durable characteristics. · Hydration reservoirs are a perfect adventure essential which provides sufficient water to your body. · The innovative design with straps makes JETFLOW hydration packs a ready-to-go product. · Hydration pack system provides an easy way to drink on the go; where you don’t even have to reach your water bottle. · Hydration reservoir will always keep you hydrated; especially on a high-altitude trek that protects you from altitude sickness. · With hydration pack, you trek with your hands free. Let me ask you a question, why struggle for every sip of water? · For trekkers, hydration pack/ hydration bladder maintains a rhythm while you voyage. JETFLOW's hydration reservoir is expertly designed to fulfill the clean water needs of outdoor enthusiasts. Our hydration bag is uniquely designed for easy carrying and drinking of water. Being manufactured from sturdy plastic material, the JETFLOW hydration pack is no ordinary pack and contains lightweight properties. It is a great gear for those people who are adventurists, and prefer to travel the long trek where staying hydrated becomes a lot easier. · With hydration pack, it becomes so much easier to keep yourself hydrated. · Hydration bladder are sturdy and durable pick and don’t get punctured so easily. · Its compact design makes it easy to carry and easy to maintain and doesn’t take much space. · It’s a perfect gear for adventure seekers; keeps you hydrated all the time. · Hydration packs are convenient and efficient for transporting or drinking water. · Hydration pack is designed with lightweight properties and even weight distribution. · Jetflow Hydration System is an outdoor gear bottle enjoyed because of its oversize reservoir and massive ice opening. · Being Made in USA, Jetflow hydration system is a pure composition of style & quality and manufactured with medical grade high density plastics. How to Clean Your Hydration Pack’s Bladder? 1. By using hot water and 2 tablespoons of bleach or baking soda. You need to mix the solution inside your hydration pack and run through the tube. 2. Keep it still for almost 30 minutes. 3. Wash the hydration reservoir with hot water and mild soap. 4. Rinse away the bleach or cleaning solution before using it again. 5. After cleaning it properly, airs dry it. Hiking is an exhilarating sport that testifies your limits, and the sport certainly leaves an impression of everlasting joy. But you need to be prepared effectively by considering the things that you simply can’t live without. No, we are not talking about smartphones here. · Hydration packs are tougher, durable and prominent lightweight gear with even weight distribution properties. · Hydration reservoir rarely causes leakage and is a dependable gear among hikers community. · Hydration system saves you from opening-closing of lid and designed with mouthpiece & shoulder strap for your own convenience. It started as a simple search, an alternative to hydration reservoirs (bladders) that tasted horribly, collected bacteria, and are expensive to replace. The thought consumed us. When we didn't find a single adequate product on the market we designed and built our own. 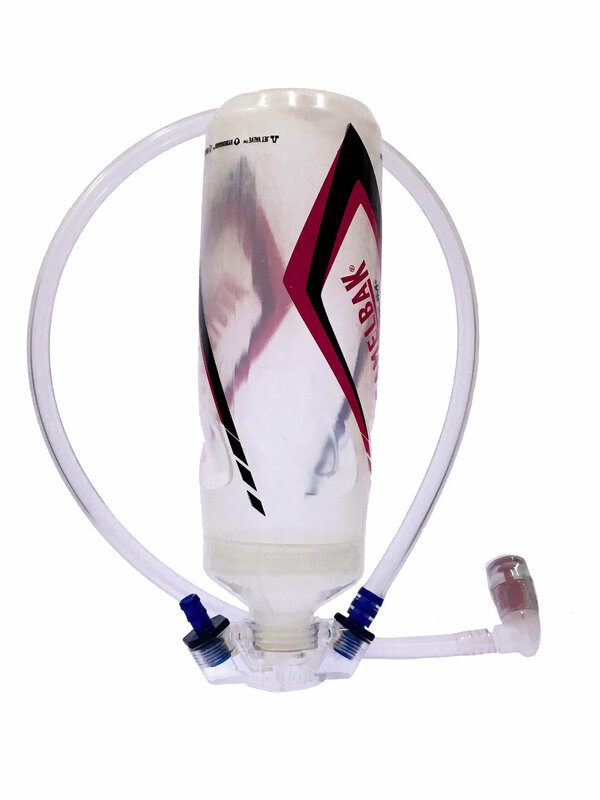 The Jetflow Hydration System. It adapts to use hundreds of common bottles, your outdoor gear bottle, or enjoy our oversize Jetflow reservoir with massive ice opening. Jetflow products are built in the USA with medical grade high density plastics. We have revised over the years and pushed the design in function and convenience. The latest 2018 model with built in Jetflow valve inside the manifold body is our latest creation. We are happy to provide lifetime warranty on all components except bite valves. Jetflow systems are extremely easy to clean, dishwasher friendly, and adapt to any pack. Outdoor athletes are extreme and we wanted you to be able to get the nutrition and electrolytes needed for peak performance. Gone are the days of only being able to use water in your hydration pack. Mix and drink what you want. Clean and assemble at will.